Being a native New Yorker of Italian and Argentine parentage, I was indoctrinated from birth to worship the sacred asado or barbecue. As such, I live for summer sunshine and warm—no, hot, even—temperatures at which most other city-dwellers would cringe. Standing over a fiery grill, flipping meat like it’s my birthright (which it basically is) is my way to spend a weekend. And instead of chilling some white wine and mixing up a pitcher of sangria, I go one further with a wine tasting menu for my cookout. Wine pairings aren’t just the provenance of high-end restaurants and tasting menus. In my mind, there’s no better way to complement those steaks and sausages. And a wine pairing menu gives you an added hook for your guests to choose your affair over anyone else’s, a new twist that elevates the usual grilled meats and cold salads. Following are some fun suggestions to help you look like a genteel host and make your snooty neighbor take notice. And if you’re worried about the cost of keeping up with the Joneses, I’ve included a few bottle suggestions—all under $15. 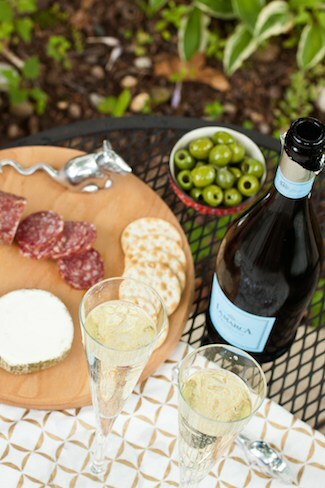 A dry Prosecco is my choice for a festive way to kick off the BBQ that’s refreshing but not quite as dry (or pricey) as Champagne. It’s just as crisp and bubbly, with a slightly sweeter but balanced flavor profile that won’t overpower delicate vegetable salads but can cut through the richness of picnic favorites like potato salad and French onion dip. Tart and citrusy Sauvignon Blanc is as refreshing as the initial blast of department store air conditioning on a 100-degree day. The citrusy, grassy flavors and crisp acidity will balance the minerality tones in the shellfish without upstaging them. Wine for the 99 Pick: Carta Vieja Sauvignon Blanc from Loncomilla Valley, Chile: ($5-$7) 750ml or ($9-$11) 1.5L AWESOME VALUE. Red wines that balance stone fruit notes with lush earthiness, like Sicilian Nero d’Avola, basically scream “meat pairing” to me. Cabernet drinkers will find amazing value by looking to Sicily instead of California, where ripe cherry flavors and a smooth tannic finish will highlight the umami flavors in steaks and burgers perfectly. For fattier or spicier meats like these I prefer to pair a Malbec. 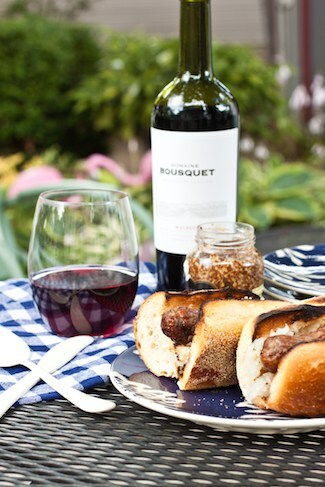 The rich black fruits and cocoa notes will highlight the spices in brats and hot dogs like no other wine can, while the tannins will cut through the fattiest of short ribs beautifully. I am on record with my irrational, emotionally driven higher standard for Malbecs. It is the wine of my father’s homeland. Every once in a while, there’s a good one that fits my ethos that there is great wine in low price ranges..
Christian Galliani is the CEO of wine consulting and education firm Wine for the 99, a Manhattan-born bon vivant, and dyed-in-the-wool Yankees fan. Find him on Twitter and Facebook.